What I love about Pinterest is that it opens your eyes up to new things. Take me for example. I love interiors and design, but since I've been on Pinterest I've been able to expand on that, and find inspiration in other areas like graphic design and photography. Whenever I grab a dose of Pinterest I find something that takes my breath away, and what can be better than that? Curating these moodboards is an extension of pinning, and I love the process of choosing images around a theme, across different categories. 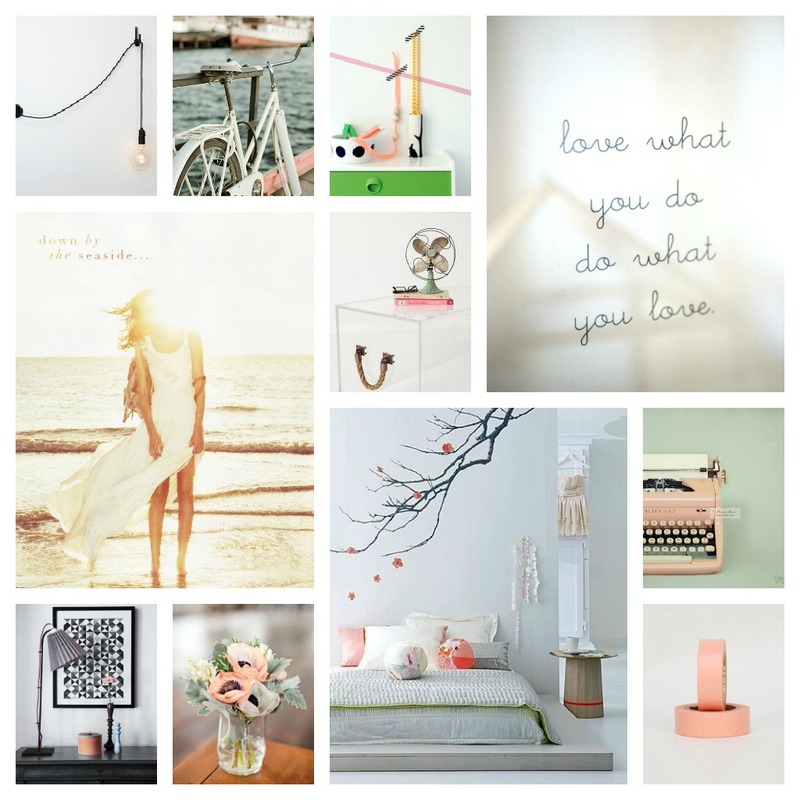 Of course there are no rules, but it usually starts with a colour or an image and from there I generally choose from a selection of pins: interiors, flowers, graphic design, fashion and accessories, quotes and photography. Here are my latest moodboards. 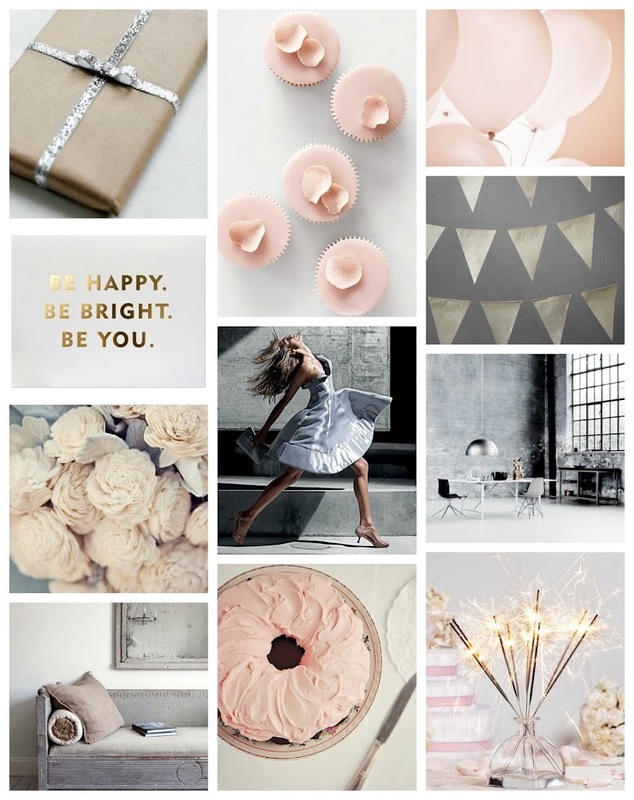 This moodboard was inspired by my recent birthday! This one started with a colour theme and words to live by: love what you do, do what you love. 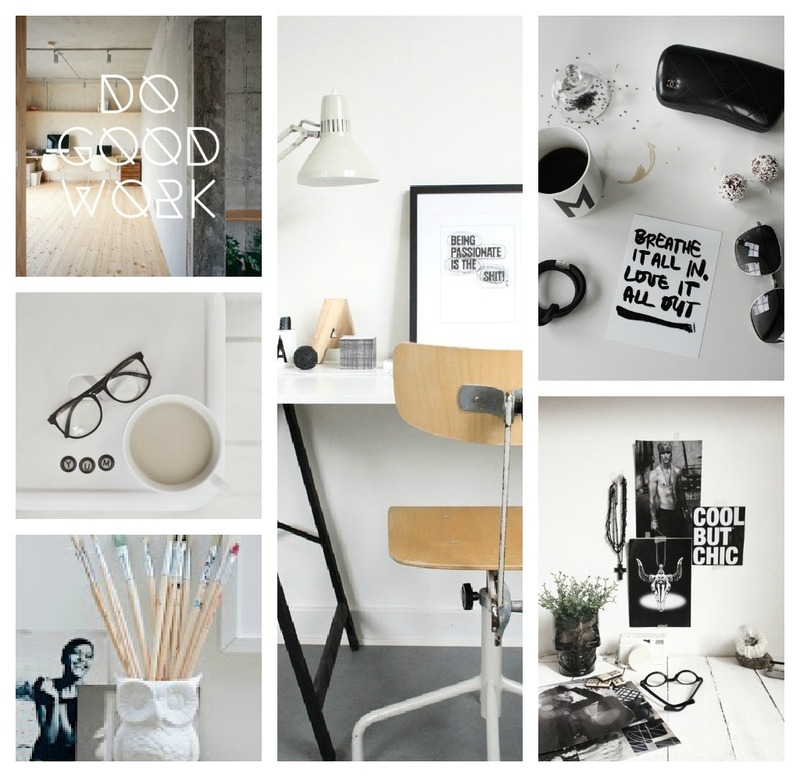 A motivating moodboard for a Monday morning! There was such a great response to this interview with Lindi Kingi, and my neon moodboard on Facebook, that I decided to team up with Lindi and run a little giveaway! If you're on Facebook and haven't yet checked out The Design Chaser page, pop over and click on 'like' to receive daily blog updates as well as additional design news and inspiration. To enter the competition you must live in NZ (sorry to my overseas readers - I promise I will do something for you soon). Pop over here to choose your favourite neon moodboard and go in the draw to win one of two Lindi Kingi Design Neon Swarovski Pearl and Sliver Bracelets! Make sure you've 'liked' both The Design Chaser and Lindi Kingi Design Facebook pages to be eligible! If you're not on Facebook, there will be another give away coming up very soon for those of you who follow the blog, so stay tuned! 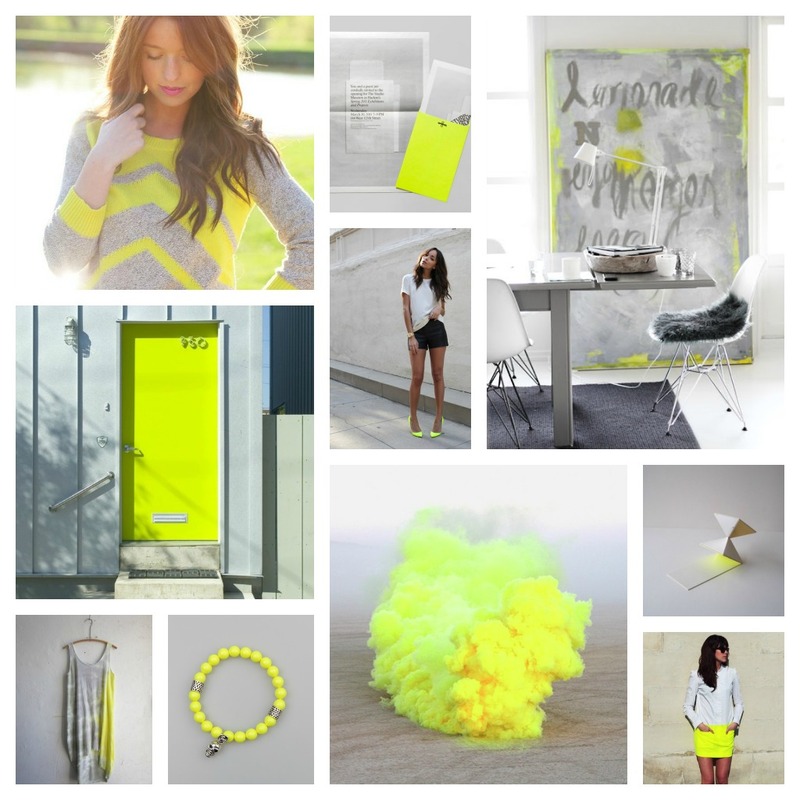 Neon yellow and grey is such a great combo! Neon pink is currently in the lead! Which is your favourite? 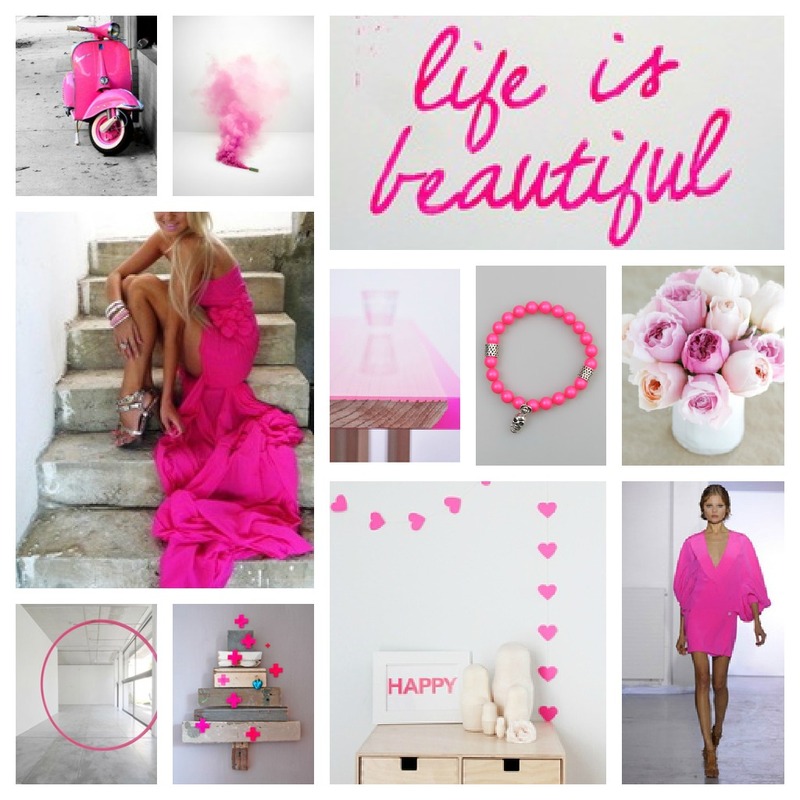 All mood board images via my Pinterest Boards. Today's pinning princess is Deborah Moir, who I discovered fairly recently. You may know her from Instagram, where she has a huge following due to a constant stream of lovely photos, featuring her gorgeous home in Scotland. 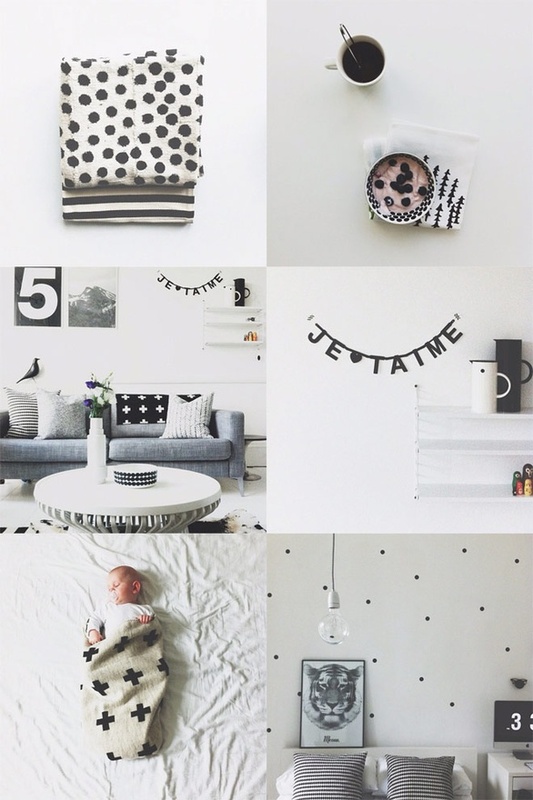 Luckily for us Pinterest addicts, Deborah is also now a pinner, and a very good one at that! 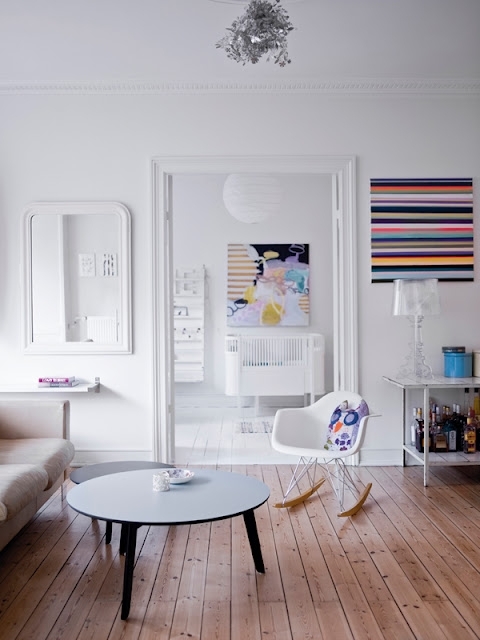 Here a couple of pins from Deborah's interior boards. 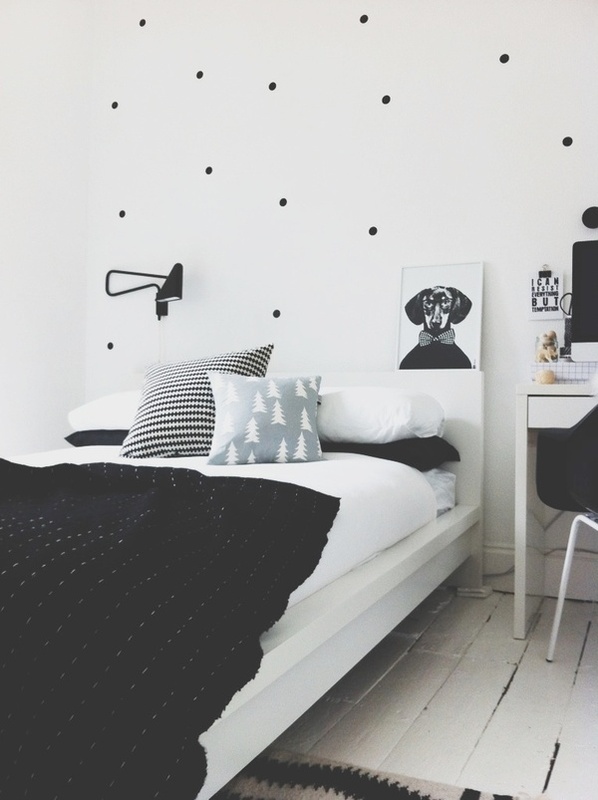 Judging by her personal style and collection of boards on Pinterest, you'd be forgiven for thinking Deborah was Scandinavian. 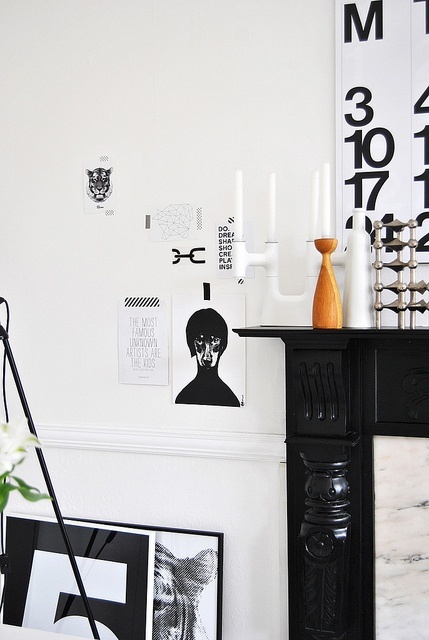 She has completely mastered the art of achieving this aesthetic in her own home, which I find so inspiring. 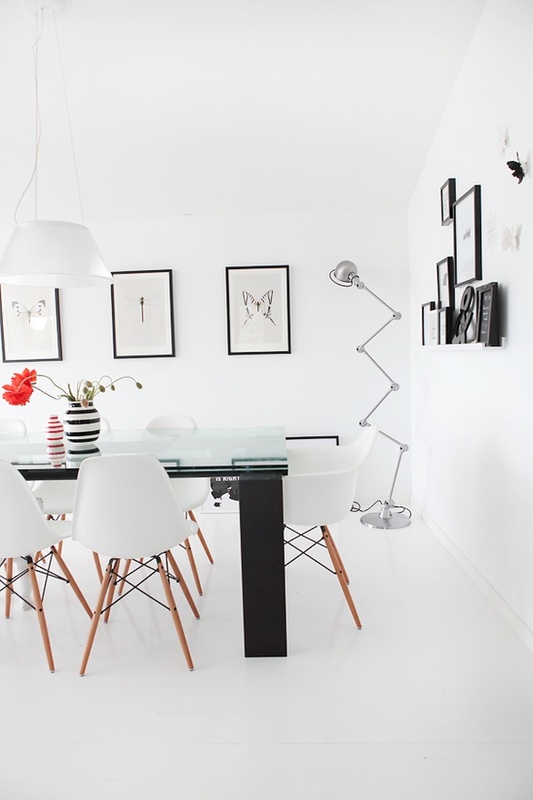 I can't get enough of the neutral palette, white painted floors and impeccable styling. The fact that she can maintain this incredible look with two young boys is even more astounding. I am in awe! These pins are photos of Deborah's home. I was delighted to hear that Deborah has a blog in the works. Due to launch soon, I'm sure it will be an instant hit! In the meantime, you can check out her Guest Posts on one of my favourite blogs A Merry Mishap.